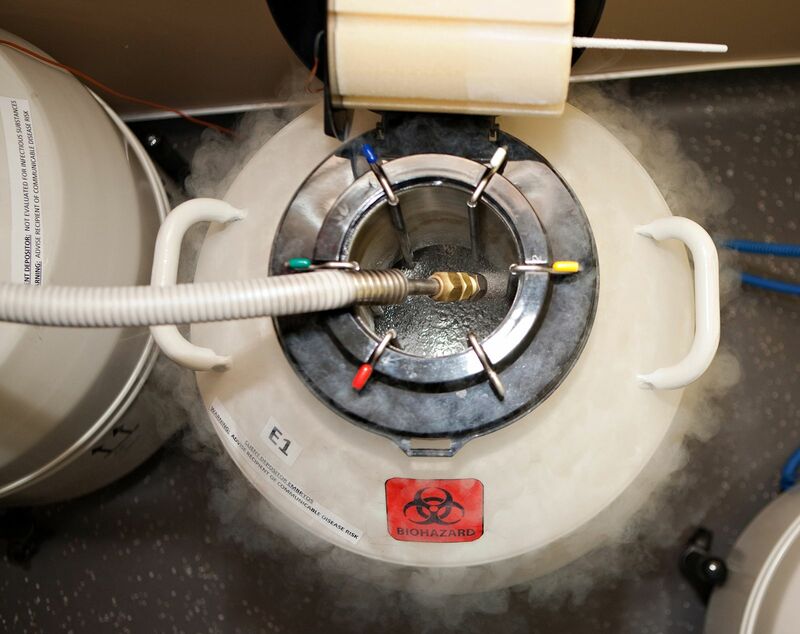 In vitro fertilization, or IVF, is one of the most popular and well-known fertility treatments in the United States. During the treatment process, women take fertility medications to encourage the development of more eggs, the eggs are extracted, and then healthy embryos that have formed can be transferred to the uterus. Many women wonder if any stages of the IVF process are painful. At Fertility Center of San Antonio, we find that some women experience cramps and abdominal pressure during the various phases of IVF. For more details on IVF and discomfort, read on, and then contact our San Antonio, TX practice to schedule your IVF consultation with us. To begin your IVF treatment process, we will prescribe several fertility medications. Some of these are administered as a shot in the lower abdomen. Patients may experience some discomfort as the injection is being administered. The level of this pain depends on how comfortable the patient is with needles and shots. The IVF medications are associated with a range of side effects, one of which is abdominal cramping. Some patients experience period-like cramps while they are taking these medications. The egg retrieval process is the phase that many patients are the most nervous about. This is when the eggs that have developed are extracted from the ovaries. During egg retrieval, we will insert an ultrasound probe into the vaginal canal. This device has an attached needle, which aspirates the fluid and egg follicles from the ovaries. When we transfer you to the egg retrieval treatment room, we will administer IV medication to put you in a sleep-like state. You will not be completely unconscious, but you will not have memory of the procedure. Because of the type of anesthesia that is used, patients do not feel any pain during the egg retrieval procedure. However, patients may experience abdominal cramping for a day or two after the procedure. The embryo transfer is the stage at which any healthy embryos that have developed are placed in the uterus. This step is much less invasive than the egg retrieval procedure. It is similar to a vaginal ultrasound appointment or even a pap smear. In this procedure, one or more embryos are transferred to the uterus using ultrasound guidance and an embryo transfer catheter. You will be able to see the entire procedure take place on an ultrasound screen. This process is not painful. However, we may have patients take an oral sedative prior to the transfer to relax the cervix. For a day or two after treatment, patients may experience some abdominal cramping. Patients tend to experience various side effects at some point during the IVF process, including discomfort. To deal with discomfort, take acetaminophen to relieve pain. Try to lie down and rest if you are having cramps. If you are interested in undergoing fertility treatment such as IVF, contact Fertility Center of San Antonio to schedule your consultation with us.